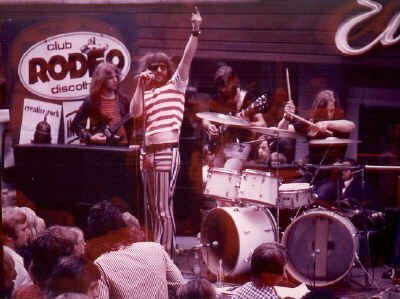 Formed in late 1969, as The Bourbon Street Paraders, and inspired by the American rock-soul-jazz movement (i.e. Blood, Sweat & Tears, Chicago, et al.) and the likes of Colosseum and Nucleus from Britain, Creative Rock went on to develop a unique repertoire. A couple of years on, and after numerous personnel changes, but still with a nucleus of original members, a demo tape sent to Metronome gained them a contract. Promptly, they changed name to Creative Rock - a misnomer as their music contained much more jazz! 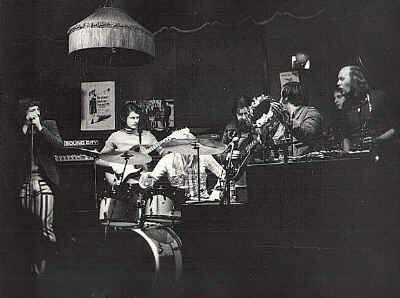 Not unlike early Emergency, but with a good deal more invention and a powerful lead singer, their debut GORILLA was barely recognisable as German rock, yet despite this it was still rather good, full of complex brass arrangements and a most energetic rhythm section. LADY PIG followed in a similar, but heavier vein, with a bit more experimentation. 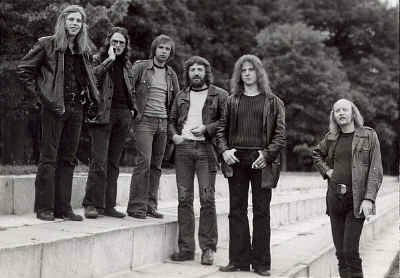 The last we know of Creative Rock was that in 1975 they were touring with an adventurous rock ballet production called "Die Creative Rock-Dekadenz-Show". 06. This world between 6 and 8 a.m.